Hyderabadi Bagara Baingan also known as Nune Vankaya Kura in Telegu is a popular vegetarian dish from Hyderabad, that carries the state’s trademark rich taste and a surprising motley of flavours. 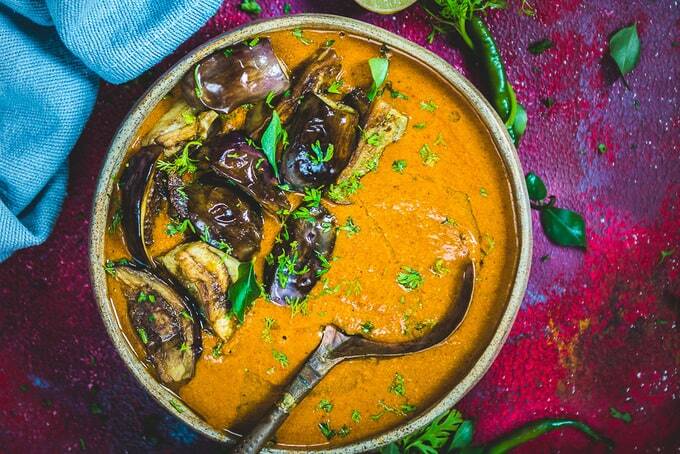 The fried pieces of eggplants simmered in a rich peanut coconut based gravy is a perfect accompaniment with rice or any Indian bread. Here is how to make Hyderabadi Bagara Baingan Recipe (Step by Step). 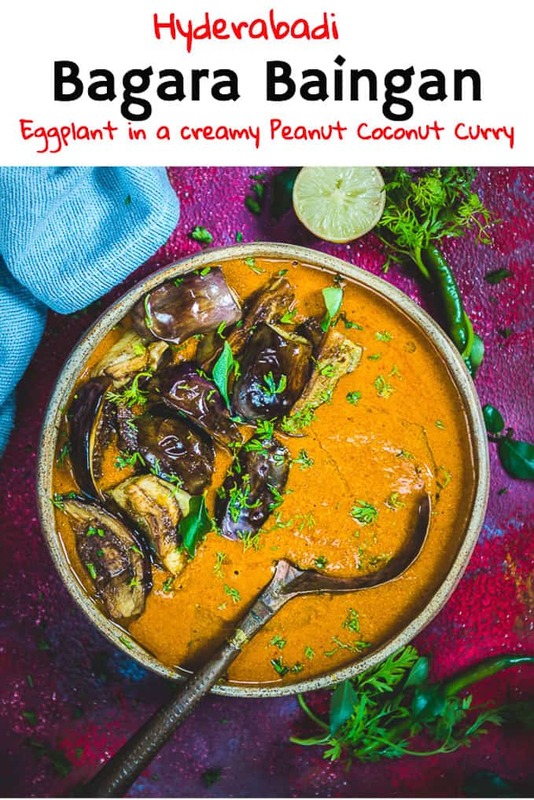 Brinjal or Eggplant forms the main ingredient of this Bagara Baingan Curry Recipe, that uses the unique taste of the vegetable, blending it with spices to create a wonderful, versatile and satisfying dish. It can be enjoyed with Poori, a puffed Indian bread, Laccha Paratha, Butter and Garlic Naan or the quintessential Egg Dum Biryani. 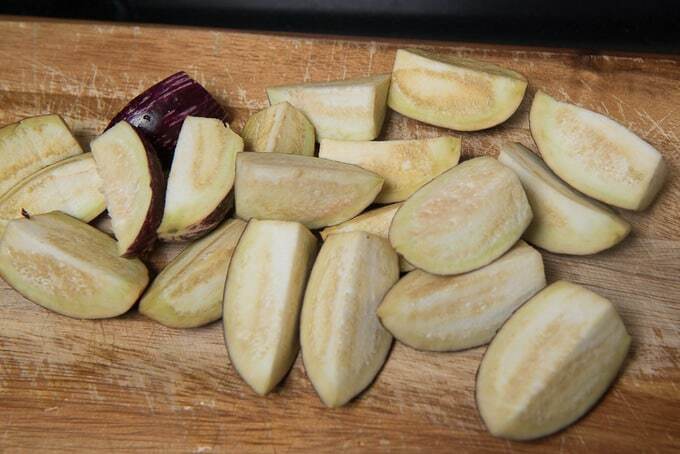 The sight or taste of baingan rather eggplant was not very pleasant for me during my childhood. 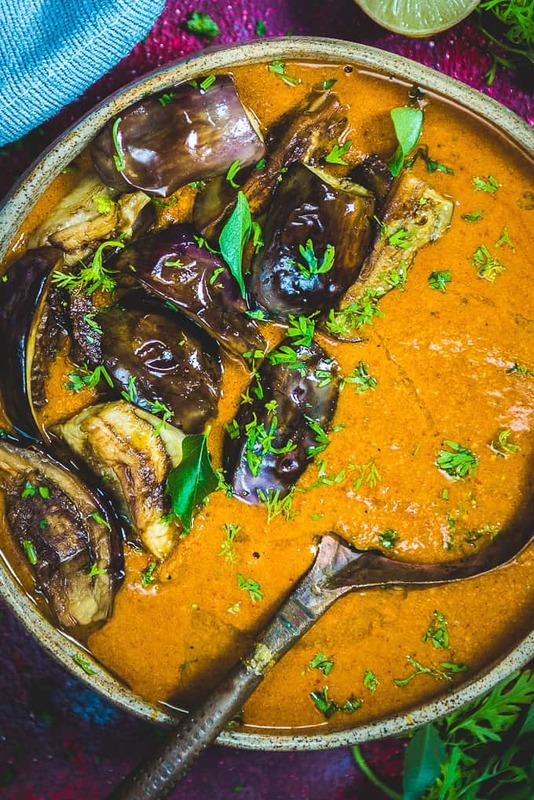 But, in order to make me start to like eggplant, my mom introduced me to Baingan Recipes like Baingan Bharta, Begun Bhaja, Dahi Wala Baingan ka Bharta and most importantly after eating the jewel of Hyderabadi cuisine, Bagare Baingan, I genuinely started liking eggplants. Served as a side dish in Hyderabadi cuisine along with Biryani or with rice, Hyderabadi Baingan turns tasteful because of usage of peanuts, coconut, coriander powder, garam masala, cumin seeds, curry leaves and tamarind. 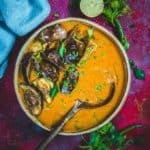 How to make Hyderabadi Bagara Baingan? 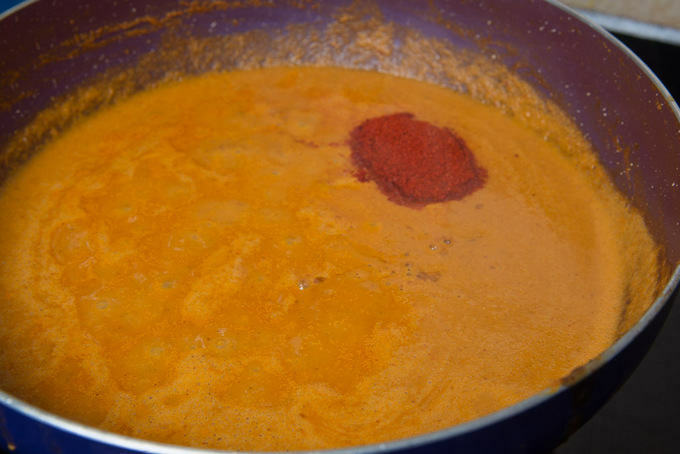 In order to make Bagara Baingan curry recipe just like the one that the royal chefs used to cook for the connoisseurs, make sure that you dry roast all the ingredients to make a rich masala paste. In Hyderebadi cuisine spices are given much importance so do not take any shortcuts if you want this dish to turn out to be excellent. 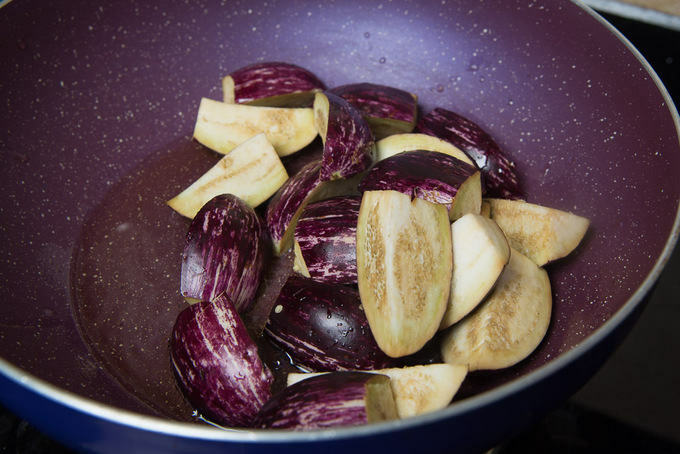 Then gently fry eggplant in a pan (we do not need deep fried, please take a note) and assemble it with the spices as mentioned in my detailed recipe. Rush to your kitchen and try this recipe super soon for a great and different dinner with your loved ones, you will surely love me more later! Cheers! 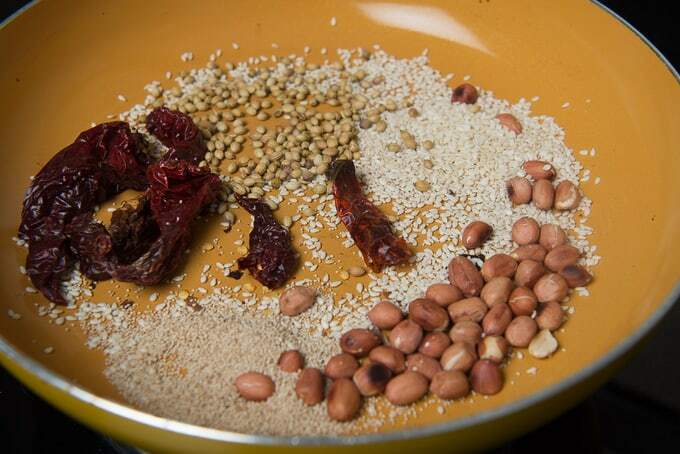 What to serve with Bagara Baingan? This curry tastes good with steamed rice or biryani. You can also serve it with any Indian bread. You will need a good blender to make smooth paste to make this recipe. You can check this one here. You can use quality of aubergine to make this recipe. It they are huge, cut into small pieces before frying. To make it even richer and healthier, add almond and cashew nuts in the paste. Make sure the masala paste is very smooth. Use little water while grinding the paste. Do not use too much water while grinding otherwise it will take a long time for the masala to fry properly. Add the eggplants in the gravy just before serving. If you have guests and want to present your gravy nicely, you can also top the gravy with fried eggplants and not mix them up like how I have done in the pictures. Soak the brinjals in water after cutting to avoid them turning black. 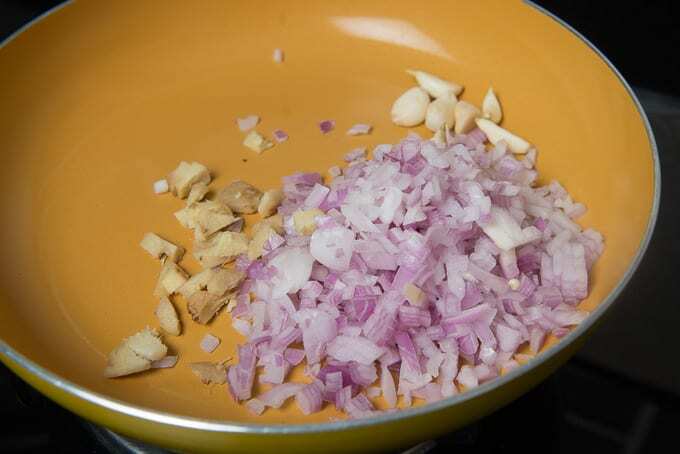 How to make Bagara Baingan without Onion Garlic? To make bagara baingan without onion and garlic, skip adding these two in the gravy and instead add some yogurt mixed with 1 tbsp all purpose flour. It will thicke the gravy and make sit delicious. Dry roast onion, ginger and garlic for 3-4 minutes. Remove on a plate. Roast coconut until browned and remove on a plate. Dry roast peanuts, sesame seeds, poppy seeds, dry red chillies and coriander seeds until browned and fragrant and remove on a plate. Add all the roasted ingredients in a blender and grind to make a smooth paste. Use little water if required. Wash the baingan and wipe them dry. Cut into long pieces. When the oil is hot, fry the baingan till slightly browned. Drain and keep aside. 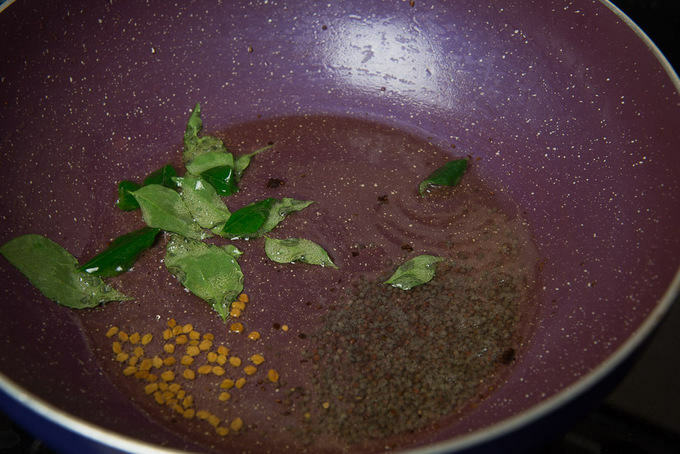 In the same oil, add mustard seeds, fenugreek seeds and curry leaves. Let them crackle and then add the ground masala along with 1/2 cup water. Cook the masala until oil starts to separate on the side of the pan. Add tamarind pulp, jaggery, red chilli powder and salt. Cook for another 3-4 minutes. Add water to thin the gravy. Add baingan and cook for another 2-3 minutes. 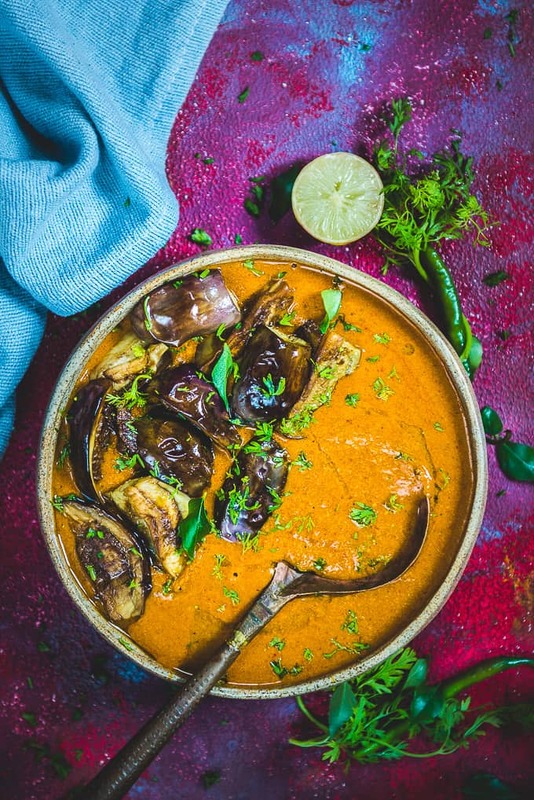 Hyderabadi Bagara Baingan Recipe is a popular vegetarian dish from Hyderabad, that carries the state's trademark rich taste and a surprising motley of flavours. Dry roast onion, ginger and garlic for 3-4 minutes. 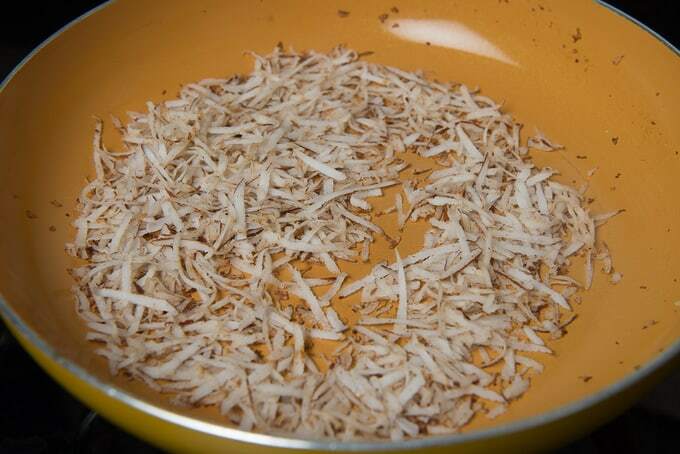 Dry roast coconut until browned and remove on a plate. 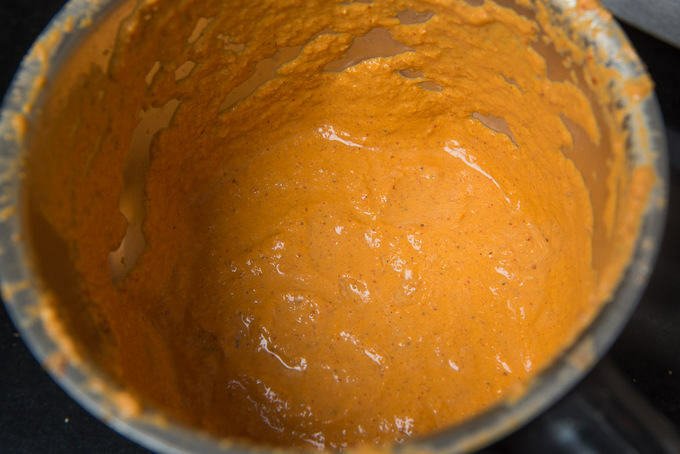 Add all the roasted ingredients in a blender and grind to make a smooth paste. Use little water if required. Wash the baingan and wipe them dry. When the oil is hot, fry the baingan till slightly browned. 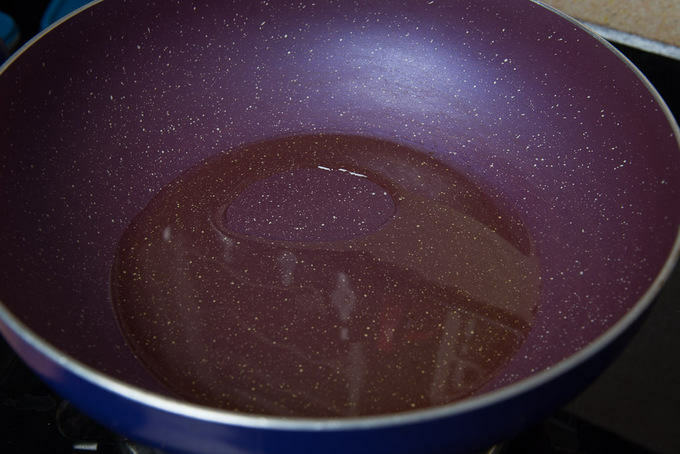 In the same oil, add mustard seeds, fenugreek seeds and curry leaves. Let them crackle and then add the ground masala along with 1/2 cup water. Add tamarind pulp, jaggery, red chilli powder and salt. Cook for another 3-4 minutes. 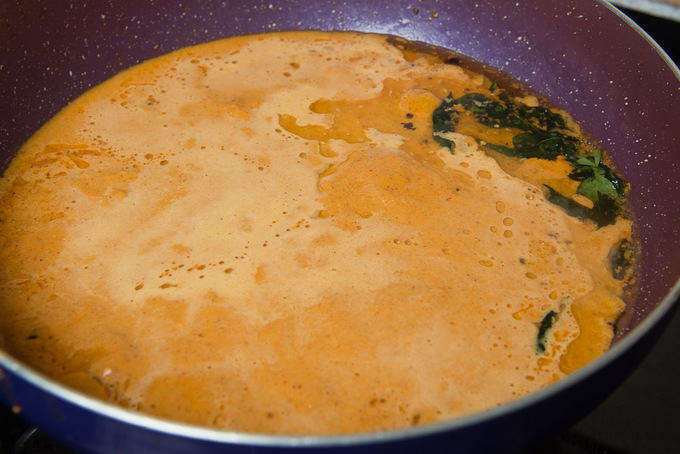 Add water to thin the gravy. Add the fried baingan and cook for another 2-3 minutes. Serve hot with phulke or Rice. I liked the recipes. Plz continue posting more Indian receipees.